Stay Healthy & Safe as as summer retreats, daylight shrinks and temperatures drop, bringing a whole new set of seasonal challenges. RIUC at 520 Main Street is ready to help when your best efforts aren’t enough fend off illness or to avoid that icy patch that trips you up in the dark. In the meantime, here’s what you can do to improve the odds in your favor. Get a flu shot — this advice is so important, it should be both step one and step two for good seasonal health, two because a flu shot is good for you and for those around you. Flu shots are not 100% preventive. A typical flu shot targets three or four viruses, but viruses adapt rapidly, evolving to get around our defenses, both natural and artificial. But they cut the risk at least in half of your getting sick and/or spreading the infection to others. 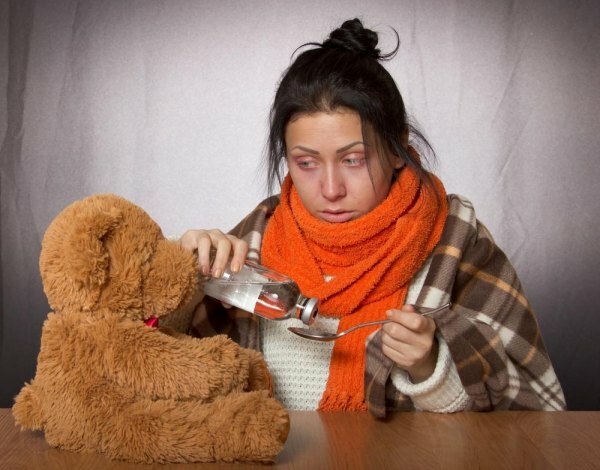 Quick tip: Act fast if you feel flu symptoms — aches and fatigue — coming on. Get over to RIUC. Antiviral medication such as Tamiflu or Relenza can knock the illness down, if taken soon enough. While you’re at it, avoid colds too. Look, we live in New York City. Exposure to rhinoviruses is unavoidable. Arm yourself. 1) Drinking plenty of water all day helps your immune system. 2) Get plenty of rest. 3) Eat foods that boast your immune system; great examples are yogurt, pumpkins and, a big booster of vitamin C, seaweed. Stay active. Fresh air, sunshine and exercise have been shown in numerous studies to improve mood and health. In other words, don’t let the changes get the better of you. The only thing you can do about the weather is change your attitude towards it. Decide to dance all the way to spring… well, at least stay lively. A regular exercise program is essential to good health, all year round, but have bad weather alternatives handy — exercise videos, yoga classes, and, my favorite, tai chi stretches on your DVR and ready to go. Exploit your connections to the human race. Being with people in group activities can increase your happiness and, as a result, your sickness fighting abilities. If you’re in the right age group, take advantage of the lineup of fitness classes at the senior center. Learn how to paint in a group. Learn scrapbooking or how to trace your ancestry. The possibilities are unending. It doesn’t matter which, but pick one and see how it washes the blues away. Eat like an athlete, not a couch potato. One sure thing about weight, more is almost always not better. As autumn rolls into winter, the days are crowded with opportunities to sit and watch gifted athletes from the comfort of your living room. And that’s not counting the many holiday temptations. Just remember, most of the players made the most of their gifts by careful dieting and exercise. Why celebrate athletic excellence with greasy potato chips? I bet a now retired Derek Jeter is enjoying the World Series with fresh vegetables and dip. As for the holiday season, indulge in the pleasures of great foods in plentiful supply. Remember, it’s not what you eat in December that counts; it’s what you eat in all those months that aren’t December. Don’t let slips and slides sneak up on you. Once you’ve gotten used to treading carefully on wet or fresh fallen leaves, be alert to how quickly puddles and wet patches flash to ice. Dusk may the riskiest hour of the day as temperatures drop fast once the sun drops into New Jersey. Layers in your future. Give yourself a strategic advantage against the inevitability of frigid temperatures by dressing in layers. Less is more. Multiple thin layers are better than one or two bulky pieces of apparel. And the more comfortable you are, the more likely you are to go out and appreciate the glories of winter, bright whites, the deepest blue skies and sunsets that stay with you long after dark descends. The key work in space heater is “space.” That is safe space, a solid surface, three or more feet away from flammable material, like paper. Never leave your space heater on when you’re away, and don’t overload gang plugs. Aren’t candles lovely in the winter and handled safely? Keep them out of the reach of children and pets and never leave the room or doze off with a candle burning. Counterpunch dry air with a humidifier. Take all the standard precautions, but remember one that might not seem obvious. Regular cleaning is essential as reservoirs are the Garden of Eden for molds and mildew. Who needs those unwelcome visitors? And, finally, the end of daylight savings is your cue for fire safety. Change the batteries in your smoke alarms and carbon monoxide detectors. And if you have home fire extinguishers, check to make sure they have not expired. Total avoidance of seasonal risks to health and safety is an unachievable goal, but you can improve your chances with simple steps. 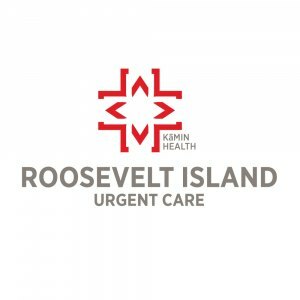 When those are not enough, take advantage of our only health care facility, Roosevelt Island Urgent Care at 520 Main Street. Get your flu shot there and take care of routine needs like employment and insurance physicals. Just drop in. No need for an appointment. You’re always welcome. And when the unexpected happens, flu symptoms flare, you bang your knee on some ice or any of the other health and safety disruptions that may set you back, just drop in.